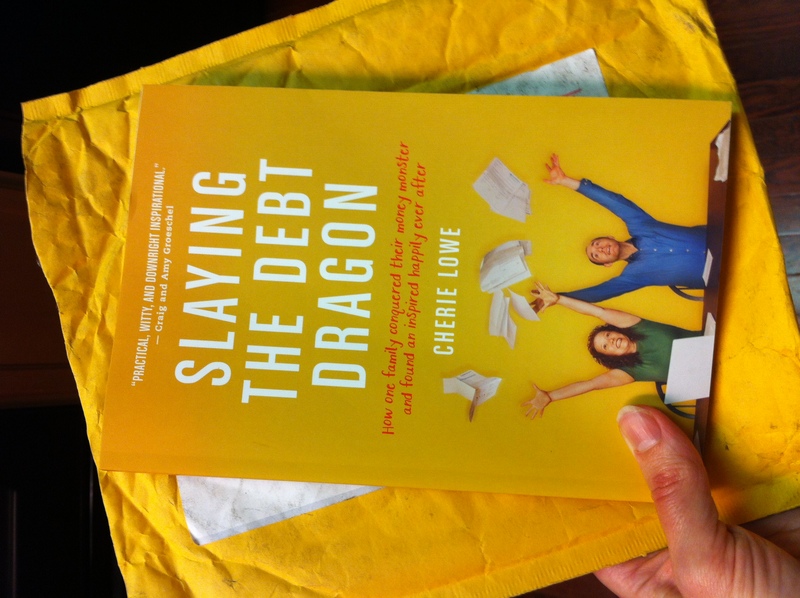 Slaying the Debt Dragon – Book Giveaway! 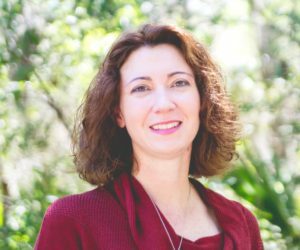 Well, I’ve given you my review, the author has shared a post with us, and now you have a chance to win it! 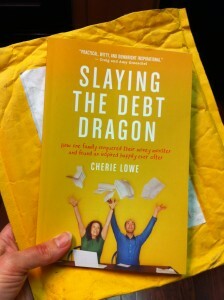 Yesterday I received a copy of Slaying the Debt Dragon in the mail to give away to one of you, my fabulous readers. So, what to do, what to do? How to decide who gets it? Hmmm, as I lo ok over at the right side of the blog page, I see four e-mail subscribers. Four!?!??! That’s pretty pathetic, considering one of them is me! Shows I haven’t really promoted e-mail subscriptions very much – or at all. So we need to change that. First step to entering the giveaway is to look on the right side of this blog and enter your e-mail address to subscribe and get new blog posts sent straight to your e-mail inbox. Secondly, I need your help deciding on topics to blog about this year. I’ve got several topics rattling around in my brain. Some I just need to find some quiet time to put down on paper; some need to rattle around some more. But, I’d really like to know what YOU want to read about. It can be anything; be creative! Your thoughts will help me to know if the ones rattling around are worthy of writing down and will inspire me to go in new directions. So, second step to entering the giveaway is to leave a comment on this blog post telling what topic or topics you’d like me to write about in 2015. Once you’ve completed both steps, enter the giveaway using the Rafflecopter link below. It’s easy! Deadline is midnight on Sunday, January 25. I’ll announce the winner on Monday, January 26. Good luck! I would like to know more about ending credit card debt. A topic I’d like to read about is bankruptcy.